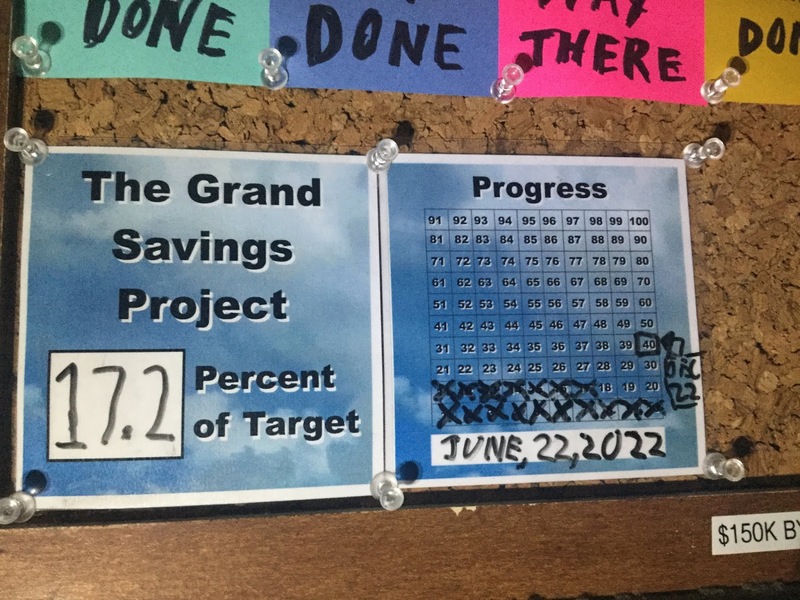 That is 17.2% (of my Savings Target). 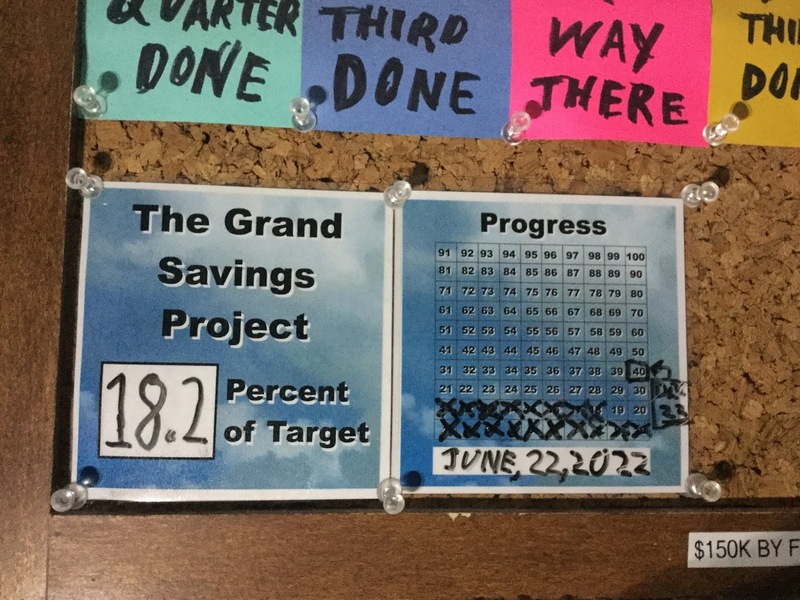 That’s right things jumped up to 18.2% of my savings target. That number is a bit deceptive in that it only shows that I put 1% of my savings target, but the truth is that I was able to put away a little bit more. All those little bits will add up to me “stealing a square”, meaning I get to cross off two squares rather than one. 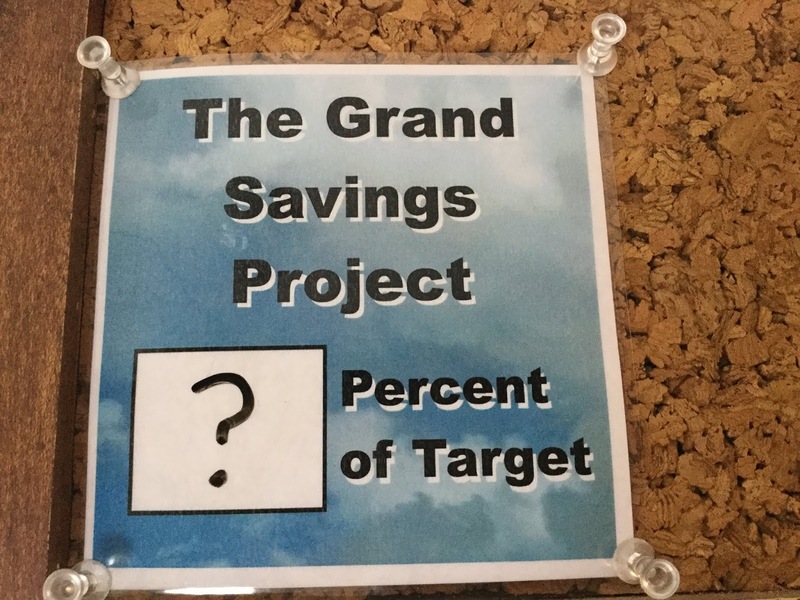 (Each square equals one percent of my target). 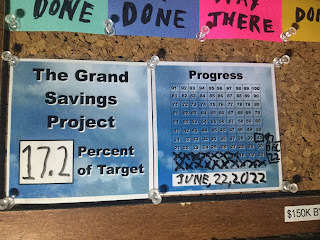 I have my goals and my targets and I keep them so that I celebrate each small step on this monumental journey towards my current Crossroads Goal of completing my Grand Savings Plan! 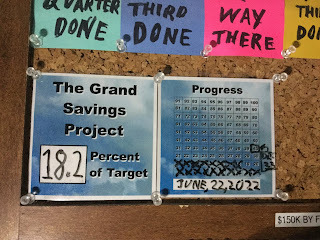 Again, each square, each percentage, each step towards any goal must be celebrated and recognized. It is these small celebrations that keeps you motivated to keep going. It is these small victories that teach you that you can and indeed are doing it, that you are actually working towards your large goal, your Crossroads Goal. So, while this is one step forward, the key to remember is that I am achieving my goals, and I am moving forward.